WWAN hub/router with Bluetooth, USB support, running the Elbrys CommonSenses Client SDK (11073-20601 protocol stack & PAN-IF Manager). 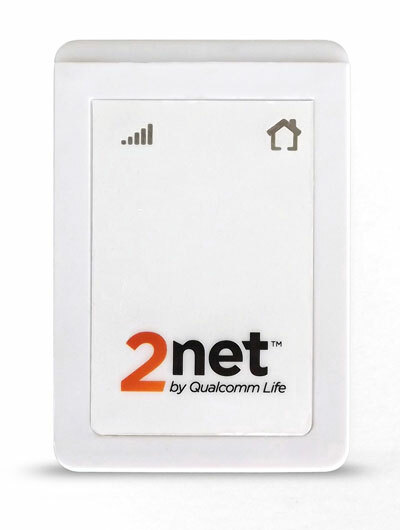 The 2net™ Hub serves as an “information highway”, enabling machine-to-machine (M2M) connectivity for medical devices into and out of the home. The 2net Hub is a compact plug-and-play connectivity gateway comprised of three short-range radios that collect data from medical devices and biometric sensors, and then sends that data via its wide area network (WAN) cellular module to the 2net Platform’s cloud-based data server. Embedded Bluetooth/WiFi/Cellular platform running Android (v2.3.4) operating system, enhanced with Bluetooth HDP, and using the 11073-20601 stack and PAN-IF manager from the Elbrys CommonSenses Client SDK.